Dream Pod 9: HGB - Tabletop Wargaming - Beta Rules, Available Now for Pre-Order! Now, after more than six months of the alpha playtest with three major rules updates in that time all the changes and lists have been consolidated into one document, the one you are reading right now. These rules will be debuted at Gen Con 2014 and available in paper and free PDF formats this summer. 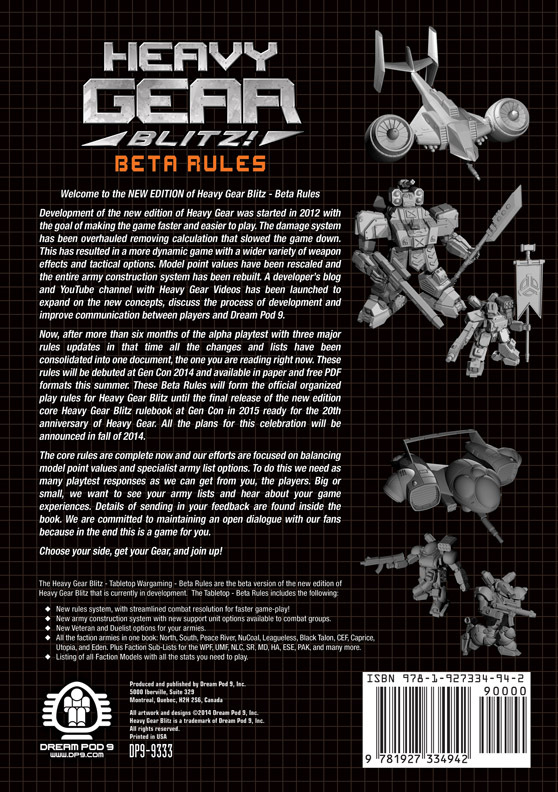 These Beta Rules will form the official organized play rules for Heavy Gear Blitz until the final release of the new edition core Heavy Gear Blitz rulebook at Gen Con in 2015 ready for the 20th anniversary of Heavy Gear. All the plans for this celebration will be announced in fall of 2014. - New rules system, with streamlined combat resolution for faster game-play! - New army construction system with new support unit options available to combat groups. Here is a link to the Pre-Order page on the DP9 Online Store for all those interested in picking up a copy of the printed book version, which will only start shipping on August 8th. 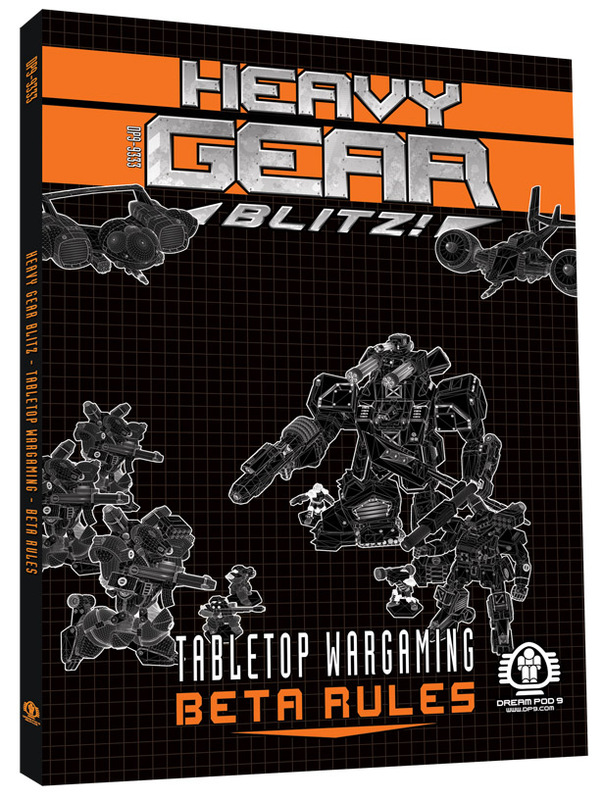 Home › Blogs › Robert Dubois's blog › HGB - Tabletop Wargaming - Beta Rules, Available Now for Pre-Order!